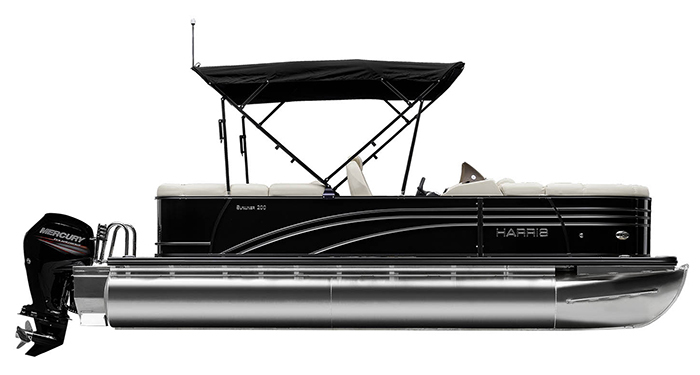 We’re often told that one boat can’t be everything to everyone, yet every day we have the pleasure of providing just that sort of pontoon to discerning, knowledgeable owners. 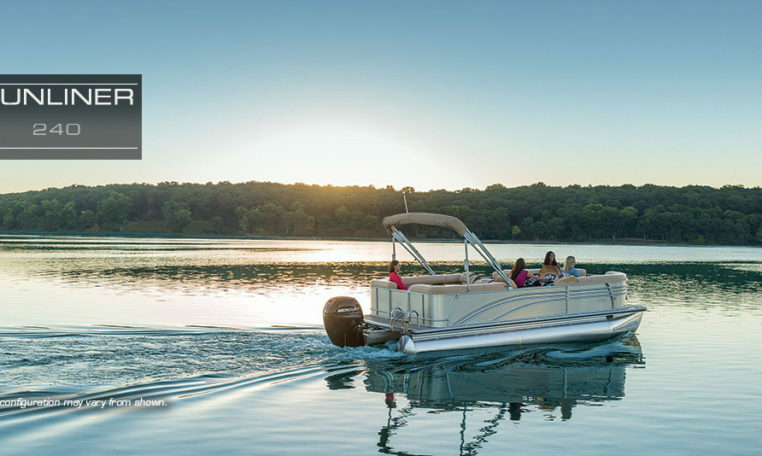 The Sunliner 240 pontoon is a perfect example, with its versatile floor plans and countless measures of onboard comfort, utility, style and luxury. 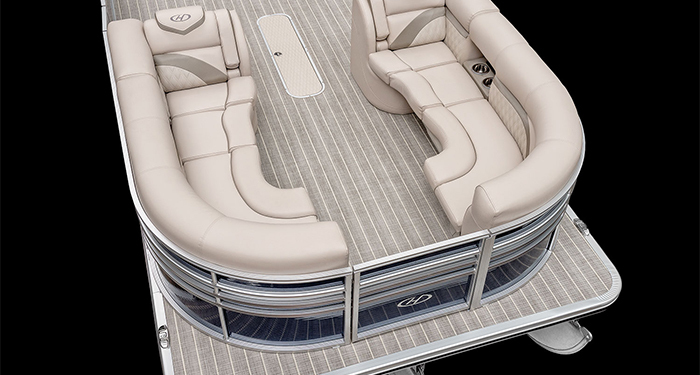 The CS floor plan features a bow walk-through, aft swim-deck access to starboard, two plush bow lounges and a spacious L-shaped aft lounge with available sun pad. 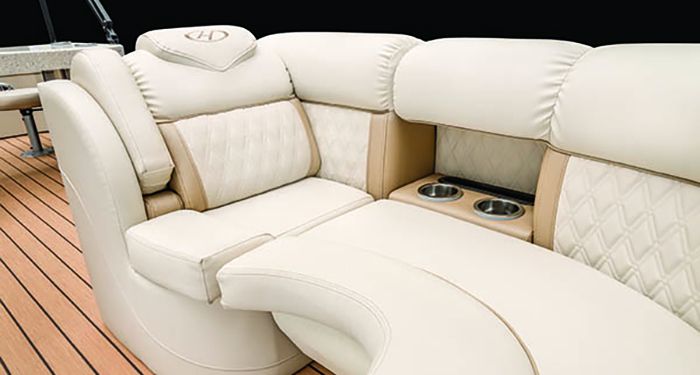 The DL floor plan has dual rear-facing lounges with a safety railing, while the EGDH floor plan offers a nicely appointed entertainment bar with comfortable bar seating and lighted cup holders. 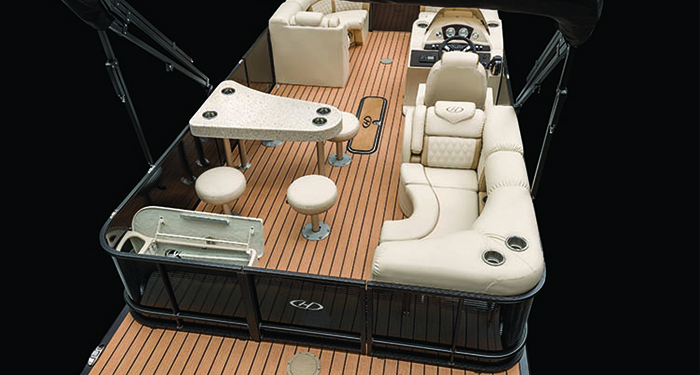 The FC or “Fish and Cruise” floor plan incorporates two stern fish seats, a well-equipped workstation, aerated livewell and rod holders. 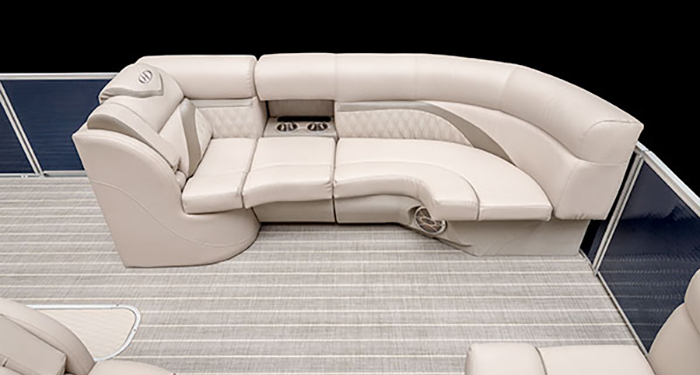 Then there’s the lavish thick-foam seating, exquisite vinyl and flooring options, and even a hidden pull-up changing room option. 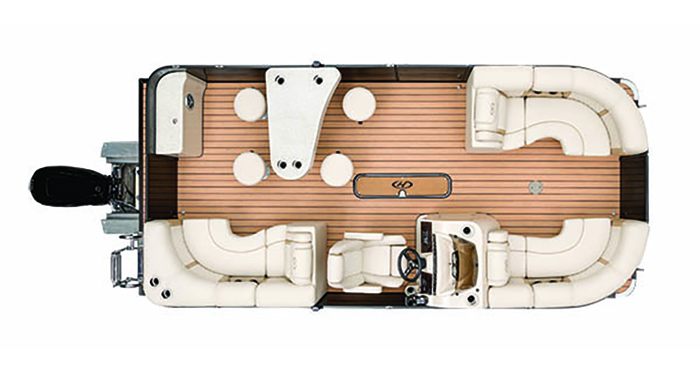 Fishing expeditions, water sports action, powerful cruising and plenty of luxurious relaxation — there is indeed a way to have it all.